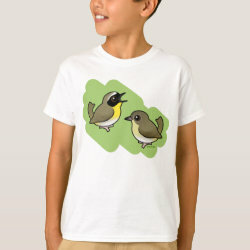 The Common Yellowthroat is a species of warbler that lives across North America to Central America. 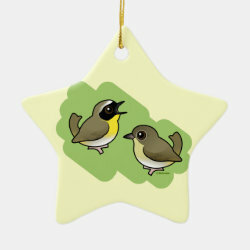 They are named for their bright yellow throats. 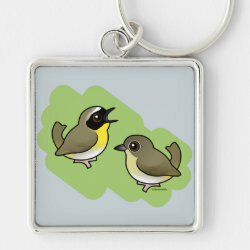 Their plumage also includes olive wings, backs and tails. 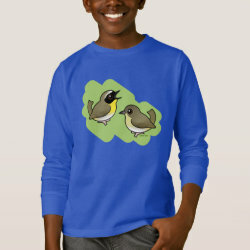 Males have an unmistakable broad black more... facial mask. 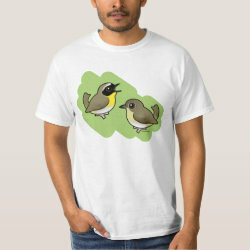 Common Yellowthroats are often heard before they are seen (if at all). 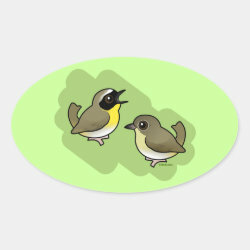 Their call is described as sounding like "witchety witchety witchety." 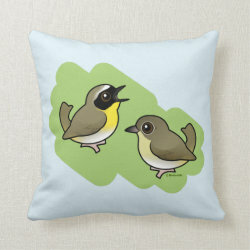 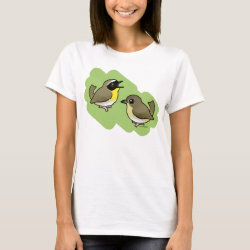 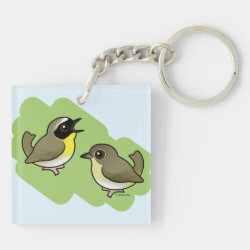 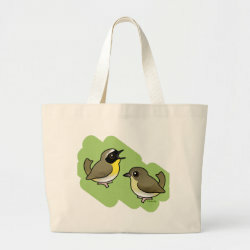 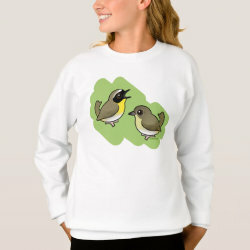 In this cute design our Birdorable Common Yellowthroat is singing his song for his lady friend. 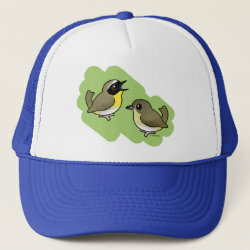 This is perfect for anyone that loves these beautiful little warblers. 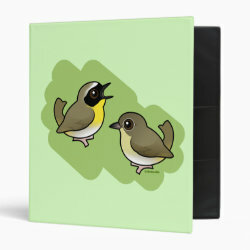 Common Yellowthroat Pair Fleece Blanket, 30"x40"
Common Yellowthroat Pair Avery Signature Binder 8.5x11"